Can a database really make a difference in your contractor marketing efforts? When you put your database to work for you, you can generate leads, build customer loyalty, and up-sell your products and services with less effort and a greater ROI. We all know that the HVAC industry is particularly susceptible to seasonal ebbs and flows when it comes to attracting and retaining customers. Many contractors fall flat when it’s time to send follow-ups, thus resulting in a loss of customer loyalty and potential referrals down the line. A well-integrated intelligent database, on the other hand, will help you manage the entire life cycle of your customer relationships, allowing you to remind them that you value their business and can meet their needs while keeping your company at the top of their minds when they need the products and services you provide. How can an intelligent database program optimize your contractor marketing efforts? The key to your efforts resides in timing. Thank you notes. Shortly after you’ve performed a service, you’ll want to send a thank you note to your customers. This allows your customers to know that they’re more than a number, and they’ll appreciate the personal touch. When your database is properly maintained, you’ll easily be able to pull the names and addresses of people for whom you’ve recently worked so you can easily send thank you notes without digging through old service orders and receipts. Ongoing emails. Never let your customers forget how much you appreciate them. Ongoing communication helps to solidify your brand as the go-to business when your customers need assistance. You can easily let your customers know when you’re offering seasonal specials, asking for feedback, or discounting services in exchange for referrals. 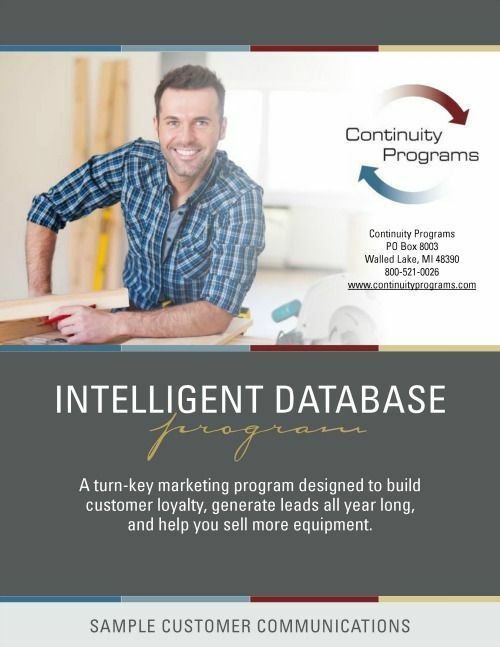 If you’re interested in learning more about how your contractor marketing efforts can be boosted through the use of an intelligent database program, you’re on the right track! 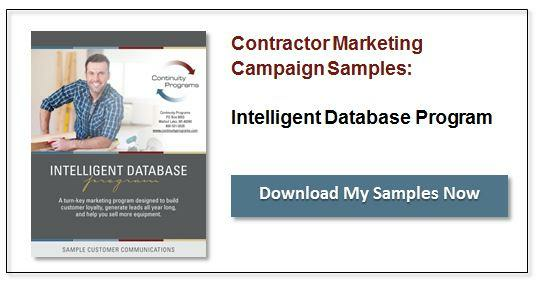 Check out these samples of a proven Contractor Intelligent Database Program today!